Comments: Striking blooms and attractive deep green leathery palmate leaves add interest to the winter garden. 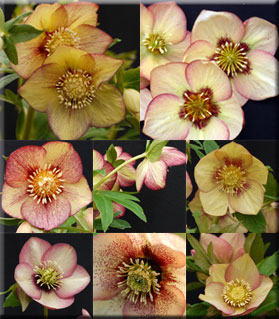 Winter Jewels™ hellebores are from a hand-selected seed strain. Each flower is an original and unique blend of yellow and red hues. Handles drought, once established. Deer resistant. Plant 18" to 20" apart.